Does a Low Carb Diet Work for Everyone? You are here: Home / Blog / Does a Low Carb Diet Work for Everyone? What is a Low Carb Diet Anyway? Weight loss is all about creating an energy imbalance. You want to be taking in less energy than you are using. But, all food isn’t equal. Some choices are more powerful for weight loss than others. One option is a low carb diet. These are incredibly popular and they do have scientific support. But, does a low carb diet work for everyone? After all, this diet approach is a departure from the normal nutrition advice we are given – and involves eating more fat and more protein than you might expect to on a diet. A low carb diet is mostly what the name suggests. With it, you significantly decrease your carbohydrate intake, compared to what is considered normal. 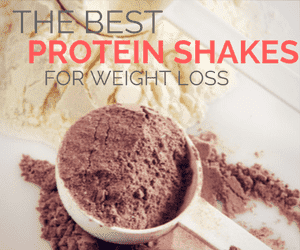 You’ll typically increase fat and possibly protein to make up the energy difference. In most cases, low carb dieters don’t actively count calories. But, many will keep track of the amounts of carbs, fat and protein that they eat daily. Even without counting calories, you often consume less on a low carb diet. This happens because the food is more filling and you’ll tend to get satisfied faster. The term low carb is a general one and there are many different low carb diets out there. For example, some people may be eating less than 100 grams of carbs a day, others less than 20 grams. What you choose depends on the outcomes you're looking for and what works best for you. Now, there are many negative views that surround low carb diets. But, as Nutrition Advance explains, most of these are myths and are not backed by science. There can be no doubt that low carb diets work for many people. But, why is that the case? One reason is the food you end up eating. Low carb diets tend to be higher in fat than regular diets. They often offer more protein as well. Both aspects mean that the food is more filling and helps to satiate you. In fact, people on low carb diets tend to feel hungry less often and may eat smaller meals as a result. This aspect also makes the diet more sustainable. Hunger is a key reason why people give up on diets. If your meals are more satisfying, then you're more likely to stick with the approach. Low carb diets also lead to decreases in insulin levels (1,2,3). This supports weight loss, as insulin promotes fat production and can limit fat burning. The diet type may also offer metabolic advantages. For example, you are often eating more protein, which helps increase muscle mass. That impact can improve the metabolism a little (4,5). Research also suggests that low carb diet itself may boost the metabolism (6). The nature of low carb diets also mean you exclude many energy-dense foods. This includes options like sugar, most fast food, pizza, french fries and similar treats. In a similar way, you need to prepare most meals yourself on a low carb diet. As a result, most people end up relying less on processed convenience foods and the quality of their diet tends to increase. You can still eat unhealthily, even on a low carb diet. But, it's more difficult to do so. There has been considerable research into low fat and low carb diets. The outcomes show that low carb diets are a good option. Not only do they lead to significant weight loss, but they have even been associated with some other health benefits. For example, one study compared low carb to low-fat diets across a 12-month period. They found that participants following the low carb diet lost significantly more weight in the first 3 months and the first 6 months than those on the low-fat diet. The differences in weight were non-significant at the 12-month mark (7). This outcome indicates that low carb diets can result in more weight loss early on, but lead to similar weight loss in the long-term. That suggests that low carb diets are at least as effective as low-fat diets. At the same time, many people may find that losing more weight early on helps them to stay motivated. That may make people more likely to stay on the diet. A second study looked at similar outcomes across a year and found that the differences were not statistically significant, although the low carb group did appear to lose more weight (8). Another study found a similar outcome, with the low carb group losing significantly more weight across the entire study (9). That study only ran for 6 months, so it isn’t possible to tell whether the observed effects would have been the same after a year or not. A 24-week study also found that low carb participants lost more weight, although, in that case, the results weren’t statistically significant (10). A 12-week study in adolescents looked at weight loss in low carb and low-fat treatments. In both cases, the participants were not told to restrict their calories. The low carb group lost significantly more weight than the low-fat group in that study (more than twice as much weight loss) (11). All of these studies support the idea that low carb diets are at least as good as low-fat ones for weight loss, and there are many more studies with similar outcomes that I haven’t examined in detail (e.g. 12,13,14). Some of the health benefits associated with low carb diets include improvement in risk factors for heart disease (15,16,17,18) and improvements in glycemic control (19). In many cases, the observed health benefits were only present for low carb diets (and not for low-fat ones), or they were stronger in the low carb diets. With all the evidence supporting them, it seems like a low carb diet should work for everyone, especially for people that struggle with weight loss. They may also be relevant for people with challenges like diabetes. Research also supports weight loss benefits, especially in the short-term. As a whole, the population does also consume too many carbs and not enough healthy fats. But, that’s not the entire story. After all, some medical conditions may not fare well on a low carb diet. Many athletes may also need to follow a more relaxed version of low carb. Some people end up giving up and falling into old eating habits. For example, one study found that 75% of participants completed a 13-week low carb diet intervention (20). For a longer period, dropout rates would be higher. This suggests that some people will simply give up on the diet. Even so, 75% is a decent completion rate. After all, no diet is perfect. There will always be some people that cannot stick to a diet or lifestyle, regardless of the specific approach. Low carb diets can also be sustainable. After all, most people don’t count calories when following low carb, which makes them easier to follow. There are also some pretty amazing recipes out there, along with many detailed cookbooks to rely on. This gives you the chance to still enjoy your food. You might even find that you prefer low carb recipes to conventional ones. Once your body has adapted to low carb, you may also find that you have more energy, fewer cravings and are less hungry. And, as the site Precision Nutrition points out, the best level of carb intake may vary depending on who you are. Most people can safely follow a low carb diet. However, in some cases, there are additional considerations to make. Athletes. You can follow a low carb diet and still be an athlete. Some people even do this while on ketosis. But, most athletes will need more carbs to develop muscle and ensure high-quality workouts. This doesn't mean athletes need to follow a high carb diet, not at all. But, they may need more carbs than a low carb diet offers, especially if they are focused on performance. As a ballpark figure, Chris Kresser tends to recommend at least 20% calories from carbs and sometimes suggests as much as 50%. The best solution in your case may be different but the key goal is to figure out what works for you. People with Health Conditions. As with any significant change, you should talk to your doctor if you have a serious health condition or are on medication. As a general rule, a low carb diet is safe. However, it is always wise to be certain as the diet does involve significant changes to the food that you eat. I’ve been talking about low carb diets in a very general sense, but there is a huge amount of variation. This includes the key styles highlighted below. Ketosis. Here you're typically consuming between 20 and 35 grams of net carbs each day - making it a particularly strict version of low carb. The goal is to keep your intake low enough that your body enters a state of ketosis, where it burns fat rather than carbs. Various signs of being in ketosis can guide this process and many people are passionate about the approach. The radical nature of that change can leave many people feeling bad, especially early on. Still, the style does get easier over time. The idea can also be powerful and offers the most potential health benefits. The Atkins Diet. This is a specific diet that comes with its own instructions and requirements. It starts out as a ketosis diet, although some carbs are re-added as people go along. While Atkins was initially popular, it is now considered less powerful than a regular ketosis diet. Moderate Low Carb. This term is one that Diet Doctor uses and refers to options with between 20 and 50 grams of carbs per day. The style is typically less strict than ketosis and gives people more flexibility. Because it is still fairly low in carbs, there are many associated benefits. Liberal Low Carb. In this case, you may be consuming between 50 to 100 grams of carbs per day (possibly more). Compared to a ketosis approach, the carb intake is much higher. But, the carbs are still much lower than the average American diet, which can involve 250 grams or more of carbs per day. Lower Carb. One other variation is simply decreasing carbs. In this case, people may not be counting their carbs at all. Instead, they might choose to make substitutions, focusing on low carb options whenever possible. This style does not offer as many benefits as the previous examples. Even so, it is likely to be healthier than the regular American diet. Related Article: Keto vs Low Carb - How do the Diets Differ? As you can see, the early styles in this list involve fewer carbs. This means that they should offer the most health benefits. However, they are also the most restrictive. As a result, some people may struggle to follow them. In general, the best solution is one that you can follow in the long-term. That could be a ketosis diet or it might be something more flexible. You could also change your approach over time. This might involve starting off with a relatively restrictive approach to kick start your weight loss. You may choose to introduce more carbs over time, perhaps ending up on a moderate or a liberal low carb style. It’s also worth pointing out that the research on low carb versus low-fat diets has considered a wide range of different variations of those two diets. For example, the studies often vary in what percentage of calories come from carbs or fat. Likewise, some studies ensure that both diets provide the same calories while others do not. This reinforces the idea that people can choose low carb diets that suit their own needs. Low carb diets are powerful. Many people lose weight through them, gain energy and even resolve health issues. It’s also clear that low carb diets aren’t for everyone. And honestly, that’s okay. People are different from each other and there are multiple good ways to lose weight and improve health. Whatever diet approach you take, the idea is to pick one that works for you and works for your lifestyle. There are so many options out there, and some of them might be a natural fit and others simply won’t be. Low carb diets are often overlooked because people assume that they aren’t healthy or mightn’t be safe. But, the reality is that they can be a very effective diet type. This style may also be a great idea if other types of diet simply aren’t working. There are also many sites that provide support, direction and recipes for low carb eating. For example, the site Peace, Love and Low Carb is one option and Ditch the Carbs is another. You can also turn to roundups, like our ones on keto lunch recipes and low carb soups. This is a great article. It’s important that people understand the distinction between the many ways of low carb eating, as the whole concept seems to be painted with a pretty unhealthy brush by a lot of media outlets. I also appreciate that you mention how eating low carb may not be for everyone, and that we’ve got to feel it out. Well written and cited, as always! Completely agree with that. I don’t think there is a single right diet for every situation. Instead people have their own needs.